There's a new Sketch Challenge up over at Paper Issues, and I decided to play along too! 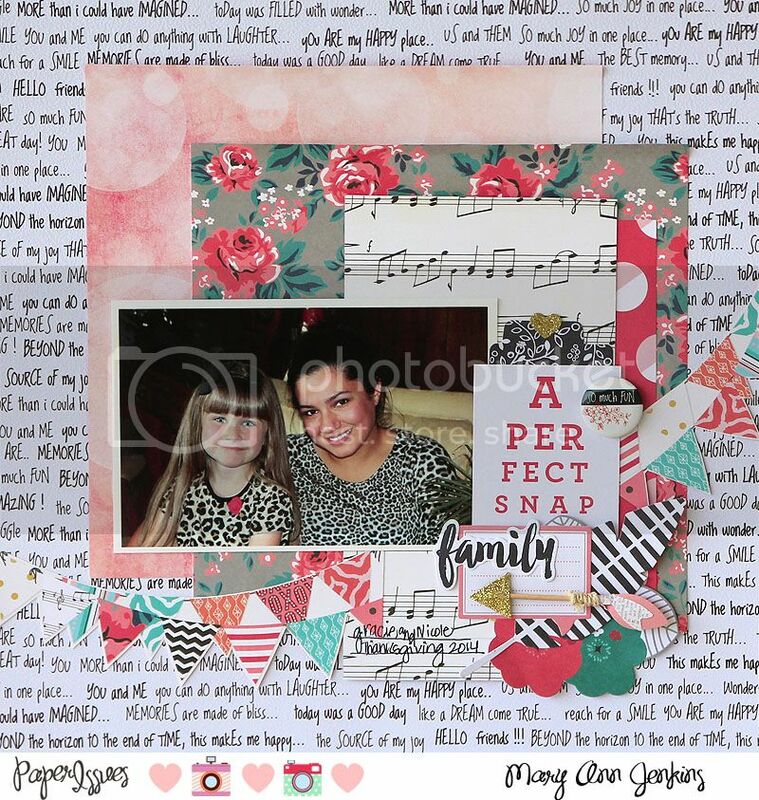 I followed the idea of the various rectangles and squares as the base for my photos, but instead of the diagonal line across the layout, I used banners that I fussy cut from the patterned paper. Once the banner was in place, I layered the die cuts, a flair button and that fun little arrow to complete my page! So how about playing along too? You could win a gift card to the Paper Issues store!! 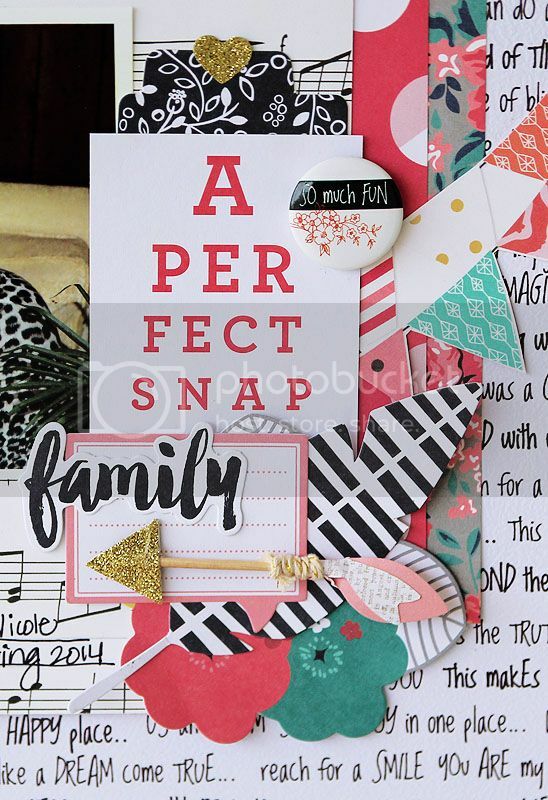 **Be sure to use code: Mary Ann when shopping at Paper Issues to get 20% off your whole order! Very pretty, Mary Ann! I love the colors.